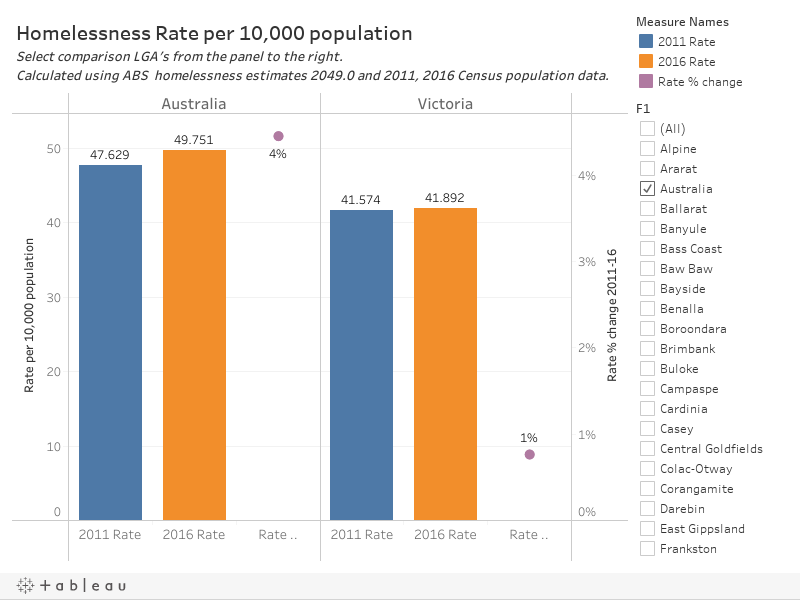 We have also set up this dashboard in excel format where you can select 2 Victorian LGAs for comparison. This Excel version presents the information in a way that is easy to print a snapshot for your region. The table below shows the homeless operational groups included in this count, and the proportion each contributes towards the overall homelessness figure Australia-wide.